Krakow is beautiful to visit anytime of the year, but it’s especially magical during the winter, where you can experience a more subdued side to the city. The cold weather allows for plenty of opportunities to slow down, drink hot chocolate in candlelit cafes, and warm up with steaming bowls of borszcz. Another advantage of visiting during winter is that you don’t have to deal with summer crowds and high season prices. Here’s how to take advantage of Krakow winter travel and the best things to do during this season. An ideal time to go to Krakow is during the winter in December, when the streets are illuminated with Christmas lights and there is a holiday market in the Main Square. Christmas is a huge deal here in Poland, and the transformation that the city goes through for the holidays is definitely something you don’t want to miss. This megamall is great for getting out of the cold and spending an hour or two shopping. If you go during Christmastime, this mall is decked out in holiday decorations, including a huge tree right outside of the main entrance to get you into the seasonal spirit. This mall is conveniently connected to the main train station, and has a large Carrefour supermarket on the upper level if you need to pick up some snacks enroute. It’s a bit touristy (ok a lot), but the Krakow Christmas market held in the Main Square has its own charm. There’s plenty of good food and drink in the form of grilled meat, roasted nuts, spiced warm wine, decorated gingerbread, and piles of pierogi. There are also non-edible items that make great presents and include painted pottery, handcrafted ornaments, and wooden trinkets. Make sure to check out the Kraków szopka, impressive homemade nativity scenes that feature historical buildings throughout Krakow as the backdrop for the nativity scenes. The Christmas market starts on November 26th and typically goes until right after Christmas. Polish food is the perfect winter food with its hearty carb and meat-heavy dishes. Duck into restaurants like Szalone Widelce, which has cozy underground seating (one of my favorite things about Krakow is all the subterranean restaurants, cafes and bars), where you can indulge in classical dishes like pork knuckles or pierogi. If you want something a bit more casual, opt for some comfort food at a milk bar like Bar Mleczny Pod Temidą, where you order cafeteria-style from an extensive menu and pay budget prices. Krakow is known for its cafe culture and wintertime is a great time to spend a few hours sipping on a hot drink. A solid choice is Café Camelot, which has excellent food (go for their brunch), along with a funky interior, and some of the best fruit tea made with real fruit. For some of the best hot chocolate, go to Nowa Prowincja, where you can easily spend a few hours in their cozy upstairs nook. On a cold winter day, this bookstore is a great spot to spend an afternoon browsing the floor-to-ceiling shelves. There is a spacious back room behind the register where you can enjoy a cup of coffee and a pastry, or you can wander through the rooms and check out the impressive collection of English-language books on a wide range of subjects, including Eastern European authors. Located behind an unassuming wooden door right on the Main Square, this independent theater shows a handful of movies each night, some of them in English. It’s mostly Polish and International independent films, but there is also the odd blockbuster as well. The theaters are small and intimate, and are perfect for a cold winter’s night. Krakow is a walking city, but during the wintertime one of the most important things to plan for your trip is to find centrally located lodging. The closer you are to the Main Square, the better. Right in the heart of the city center, this luxury hotel is in a great location being right across the street from the Old Town, and a short distance to popular sights like Wawel Castle. There are two restaurants available on-site, which offers breakfast for an additional fee. Rooms are modern and have all the creature comforts of home. This five-star hotel is conveniently located steps from the Old Town, and the Planty, the city park that surrounds the Main Square. An airport shuttle is available, that brings guests to their departure gates with a quick 20-minute ride. Friendly staff, a well-stocked restaurant/bar, and spotless rooms make a memorable stay. A quick walk from the Main Square and Wawel Castle, this beautiful luxury 5-star hotel blends historical and modern decor effortlessly, and provides amenities like an indoor pool located in an underground vault. On property there’s a restaurant/bar, a full-service spa, and rooftop terrace for guest to enjoy. 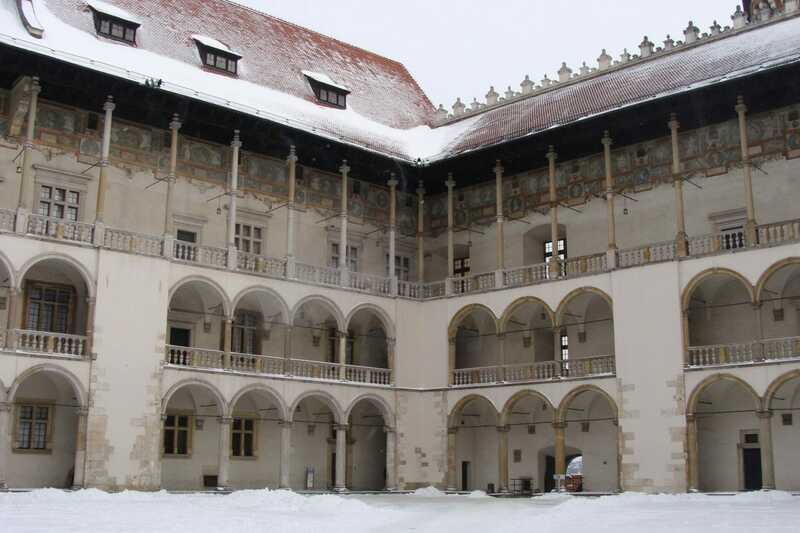 Are you a fan of Krakow winter travel?